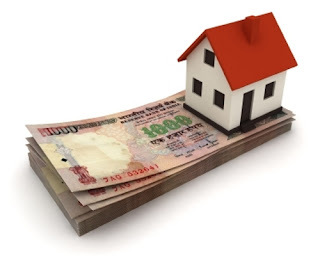 To promote housing sector, government introduced a new section named 80EE under the income tax laws, according to which first time home buyers can declare additional 1Lakh for tax benefits if the loan amount is less than 25Lakhs and the cost of the property is less than 40Lakhs. Also the loan sanctioned date should fall in the financial year 2013-2014(assessment year 2014-2015). This deduction is over and above the Rs. 1.5Lakh limit under Section 24. Loan sanctioned date between 1st April 2013 and 31st March 2014. If the interest paid during FY 2013-2014 is below 1Lakh(excluding Section 24 limit which is 1.5L), the balance can be carried over to the next financial year ie, 2014-2015. Mr. Pankaj's income from salary is Rs. 12,00,000. He booked his dream home(first) in April 2013 from a reputed builder which costs Rs. 35Lakhs. He applied for Rs. 24Lakhs loan 8EB5B562-CEC4-436D-8FEC-43DB12BA80FA which got sanctioned in May 2013. Mr. Pankaj's moved into his house in February 2014. Suppose the tax paid for the financial year 2013-2014 is 1,90,000. Mr. Pankaj's deduction under section 80C is Rs. 1Lakh. So, Mr. Pankaj can save tax on Rs. 40,000 additional to Rs. 1.5L. Section 80EE was introduced to boost the housing sector, if you are eligible, go for it, declare and save tax on the interest paid. I have brought a property worth less than 40 lakhs and my loan amount is 30 lakhs.